In 1973, Williamsburg, Brooklyn was still a livable neighborhood, because the local syndicate’s godfather made a point of keeping out all the knit-cap-wearing, Bernie Sanders-voting, vegan riff-raff. Manny “the Hand” Mistera, where are you now? Sensing trouble that fateful summer, the gangster tries to recruit a legit banker with a savant-like talent for memorizing numbers. 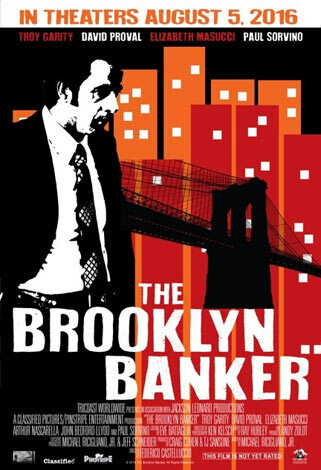 Santo Bastucci wants no part of the crooked life, but how can he turn down one of those offers in Federico Castelluccio’s The Brooklyn Banker (trailer here), which opens this Friday in New York. Bastucci inherited his gift for numbers from his father, but he really knows very little about his late old man (so we know what that means). He understands full well his father-in-law is a made man, but Benny seems like the amiable go-along-to-get-along sort. Bastucci never wanted that life and his uncle, the good Father Matteo was always around to keep him on the straight and narrow. Unfortunately, dumb old Benny gives Bastucci major indigestion when he involves the banker in a scheme to cash potentially fraudulent cashier’s checks supplied by a bookie in hock to Manny the Hand. However, old Benny might not be as dumb as he looks. In fact, he is clearly running some sort of scam, which puts the son-in-law in a devilishly awkward position. Banker is a surprisingly well produced period piece. It really has the look and texture of the decade’s classic gangster dramas. Unfortunately, the narrative and characters just aren’t special enough. Frankly, it all feels rather workaday. True, Paul Sorvino’s Benny has that mischievous twinkle in his eye, but how many similar characters has he played over the course of his career? On opposite sides of the spectrum, David Proval (Mean Streets and The Sopranos) and Arthur J. Nascarella (World Trade Center and also The Soprano) both bring a lot of grit and steely dignity to the film as Manny the Hand and Father Matteo, respectively. Veteran television character actor John Bedford Lloyd also steals most of his scenes as Bostonian Secret Service Agent Cahil. Unfortunately, Troy Garity underwhelms in the lead. Understatement is one thing, cold, clamminess is something else entirely. 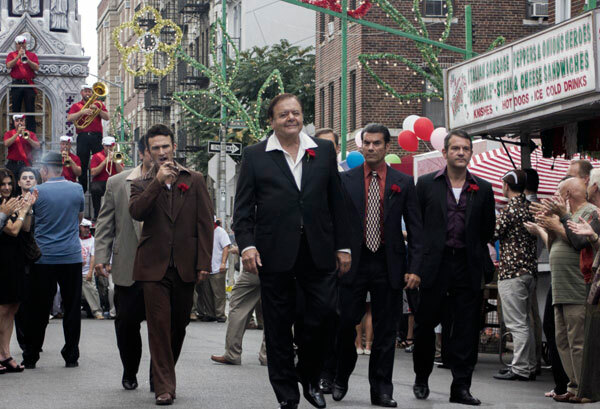 Castelluccio (yet another alumnus of the Sopranos) vividly transports viewers back to the Dog Day Afternoon-Bronx is Burning New York that few of us ever really knew. Yet, it is frustrating the film never rises above the level of okay. For diehard fans of gangster films and old school New York, The Brooklyn Banker opens this Friday (8/5) in the City at the Cinema Village and on the Island at the Malverne Cinema.